The MIAC is very pleased to be given access to publish on this web site images taken by Brain Penney whilst he was an apprentice at Worcester until 1954. This photograph was taken on 2nd January 1953 and shows ex-GWR 4-4-0 'Dukedog' 9000 class No.9028 having its sandboxes cleaned out by fitter Stan Bright and mate, Sid Godfrey, before working back to its home shed at Oxford. These locomotives were introduced in 1936 as a Collett rebuild incorporating "Duke" type boilers and 'Bulldog' 3000 class frames. 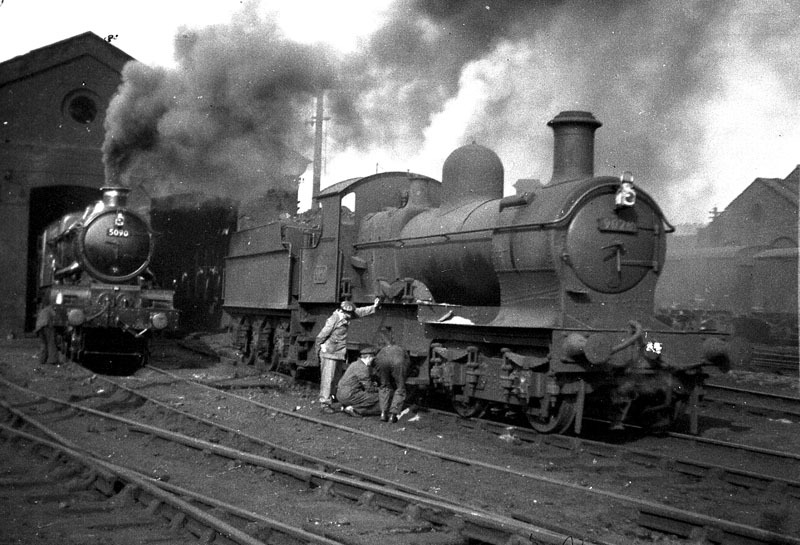 On the left is Worcester based 'Castle' class 4-6-0 No.5090 'Neath Abbey' being prepared to work the 12:15pm express from Worcester to Paddington. 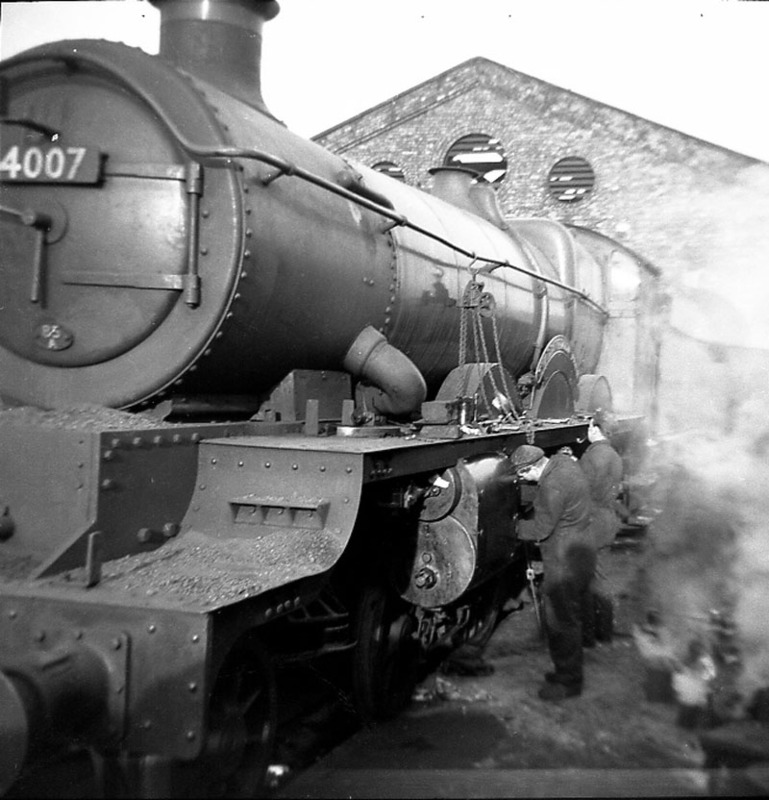 Standing alongside Worcester based ex-GWR "Star" class 4-6-0 No.4007 'Swallowfield Park' in December 1950 are fitters mate George Moore and fitter Owen Partridge. 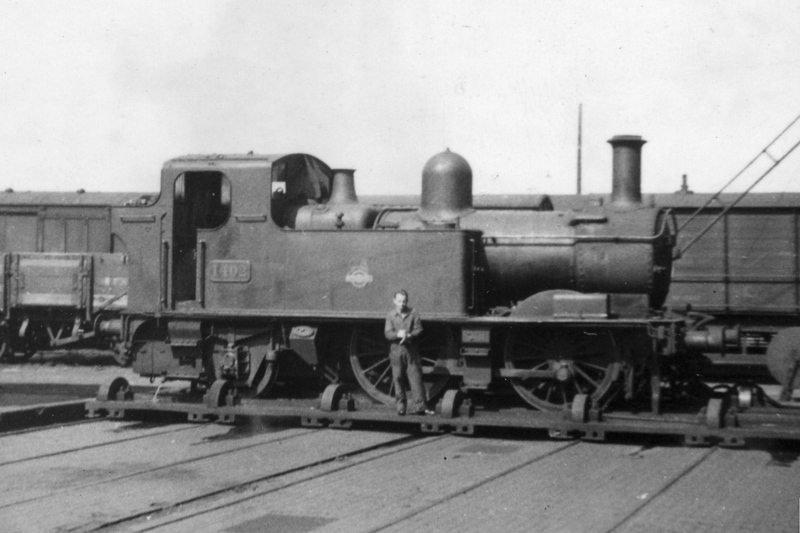 The loco was new in 1907 and withdrawn in September 1951. The locomotive is undergoing a mileage exam behind the goods shed. 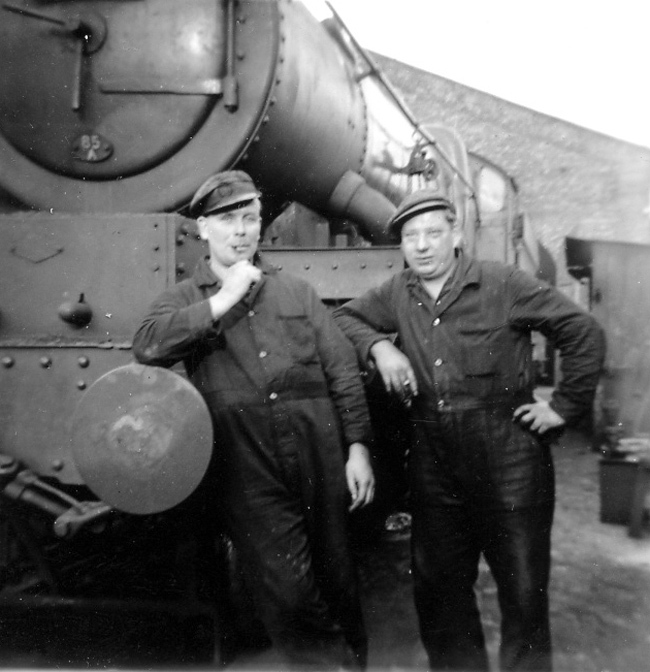 On the traverser at Worcester Works on 11th June 1952 is ex-GWR 0-4-2 tank engine No.1402 of Gloucester (Horton Road) Shed with apprentice Mick Mason standing in front of the locomotive. All three photographs are used by kind permission of Mr. B. Penney who was an apprentice at Worcester until September 1954. 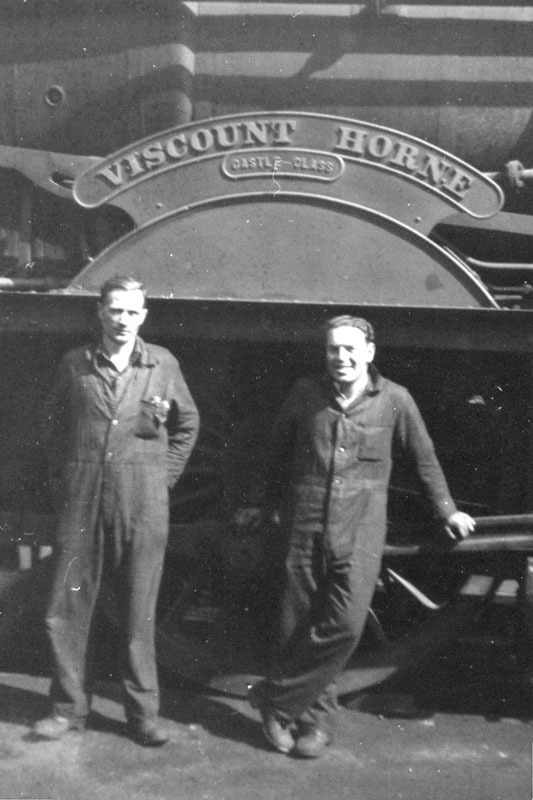 This is Fitters Mate Sid Sirrell and Fitter Tommy Winders in front of ex GWR 'Castle' class 4-6-0 No.5086 'Viscount Horne' on 16th March 1951. This locomotive which had been rebuilt from 'Star' class 4-6-0 No.4066 'Malvern Abbey' in 1937 came to Worcester from Shrewsbury in December 1950 and remained until withdrawal in November 1958. Viscount Horne was a former Chairman of the Great Western Railway and one time Minister in the Government of Stanley Baldwin. Malvern Abbey (Priory) is, of course, situated in Great Malvern and is well worth a visit. 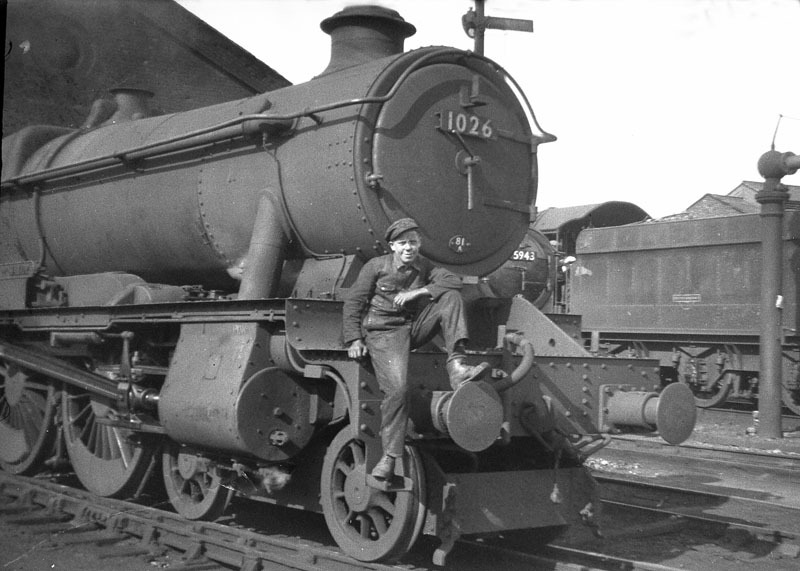 Apprentice Ronnie Williams is sitting on the front of former GWR' County' class 4-6-0 No.1026 'County of Salop'' on 25th May 1951. The locomotive is displaying an 81A shed plate indicating that it was allocated to Old Oak Common shed in London. The locomotive was withdrawn from service in 1962. By way of a change here is a more modern photograph. 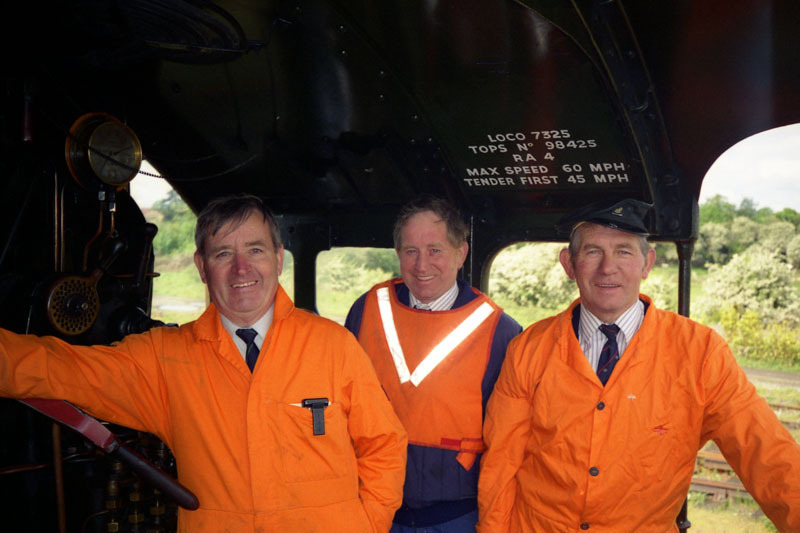 After a gap of 45 years the fourth photo shows Worcester crew, from left to right, Traction Inspector Harold Lewis, Drivers Roy and Neil Cale, in the cab of Mogul, No.7325, at Stourbridge on 19th. May 1995, waiting to work a loaded test run to Newport, the Severn Valley Railway's loco's first main line run.